GOVERNMENT has said all State-owned tertiary education institutions are not increasing school fees and should accept payment in both local and foreign currency. There were social media reports alleging that some institutions including the Midlands State University (MSU) had increased their tuition fees and were demanding hard currency from local students. In an interview yesterday the Minister of Higher and Tertiary Education, Science and Technology Development, Professor Amon Murwira said no Government institutions revise school fees without approval. "Those are fake reports circulating on social media causing panic. The correct position is that we did not approve a revision of tuition fees in all state tertiary institutions," said Prof Murwira. He said all fees are revised annually by his ministry and any adjustments are communicated officially through his office. "These are State owned institutions and we cannot expect Government positions to be communicated through unreliable sources. School fees ordinances are signed by the Minister and communicated officially," he said. Prof Murwira said State institutions comply with the law of the land and do not invent their own form of payment. "We comply with the Government's policy on forms of payment which means these institutions continue accepting bank transfers, EcoCash and cash that they were using last year," he said. "Let it be clear that we have a policy that says foreign students only pay in foreign currency and this does not apply to local students. We do not demand foreign currency from local students. The only approved adjustment is that student on industrial attachment pay 60 per cent of their school fees," Prof Murwira said. 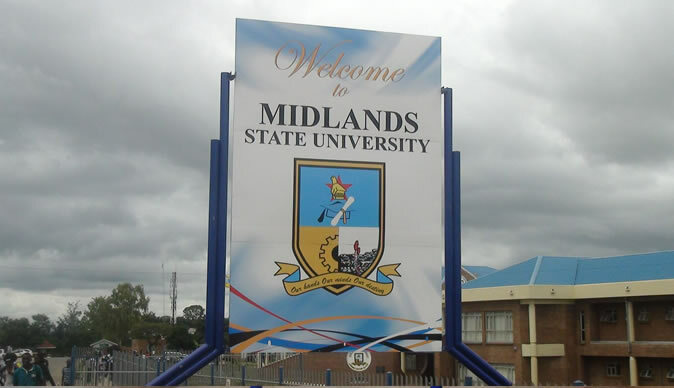 Meanwhile, the Midlands State University (MSU) has dismissed allegations that it has increased tuition fees and is demanding hard currency from local students. In a statement, the university said the social media message is false and causing unnecessary panic among stakeholders. "Midlands State University (MSU) has noted with concern, false statements circulating on various social media platforms to the effect that the University has increased tuition fees for the 2019 academic year and that local students will also be required to pay part of their fees in hard currency." The registrar said MSU does not adjust tuition fees without consent and approval of Government. "We wish to advise our valued customers that the University has not increased its tuition fees and that any increase or revision in tuition fees would be subject to Government approval through the Ministry of Higher and Tertiary Education, Science and Technology Development," read the statement. "We would like to inform our stakeholders that all University communication including fees revision, is channelled through our website, official Facebook page and notices in the print media." "Should you have any queries, please contact our Information and Public relations Office on telephone number 00263 254 2260359 or email us on inforandpr @staff.msu.ac.zw."